Product prices and availability are accurate as of 2019-04-20 06:25:33 UTC and are subject to change. Any price and availability information displayed on http://www.amazon.com/ at the time of purchase will apply to the purchase of this product. 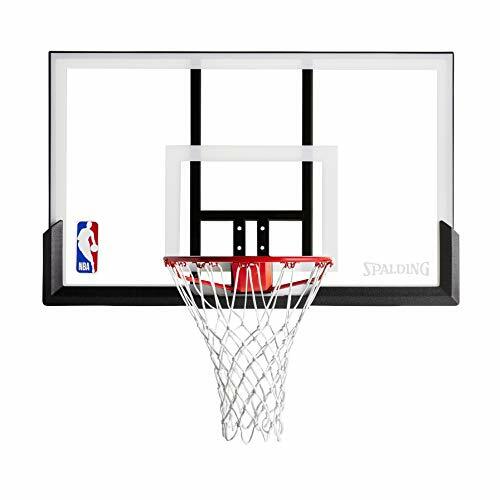 Designed to mount to a square pole or wall, this Spalding backboard and rim combo will turn your backyard or driveway into a jump-shooting haven. The backboard/rim combo starts with a 52-inch, 4.5mm acrylic backboard with steel frame. The board offers the same action as glass backboards, helping you shoot layups and bank shots with confidence. 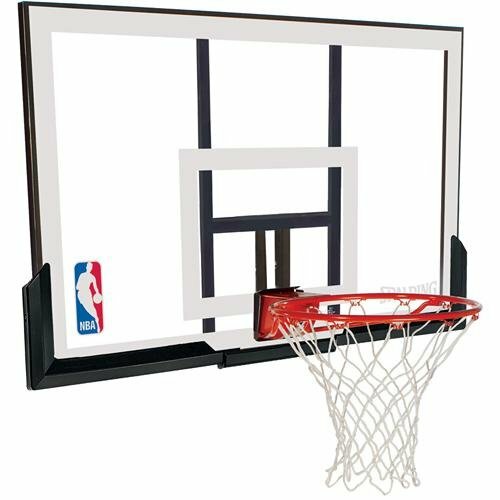 The Pro Slam breakaway basketball rim, meanwhile, holds up well against the force of emphatic slams--a must for modern hoops. Other features include a white all-weather net, a 2-7/8-by-2-1/2-inch rim hole pattern, and a total weight of 40 pounds. 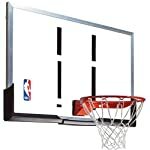 The board is compatible with the following mounting brackets (sold separately): the Spalding 920312 extension arm and bracket for 4-inch square basketball poles or the Spalding 316 U-Turn adjustable extension arm and bracket for square basketball poles. 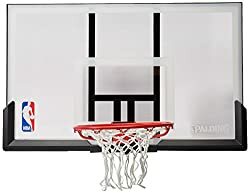 The backboard carries a five-year warranty while the rim is backed by a one-year warranty. As a Division of Russell Corporation, the Spalding Group consists of three business units: Spalding in Springfield, MA; American Athletic, Inc. in Jefferson, IA; and Huffy Sports, in Sussex, WI. The three companies, collectively combined, are now the largest basketball equipment supplier in the world. 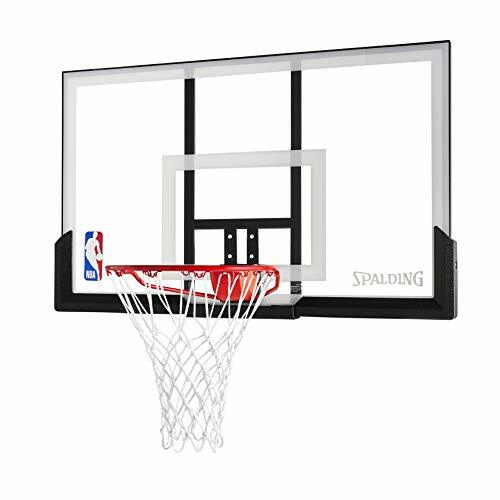 Spalding is the official basketball supplier of the National Basketball Association (NBA) and Women's National Basketball Association (WNBA), the official backboard of the NBA and NCAA, the official volleyball of the King of the Beach Volleyball Tour and the official football of the Arena Football League (AFL) and Pop Warner.